St. Patrick’s Day is Saturday, and though I’m not Irish I do like to share a good recipe when it comes my way. 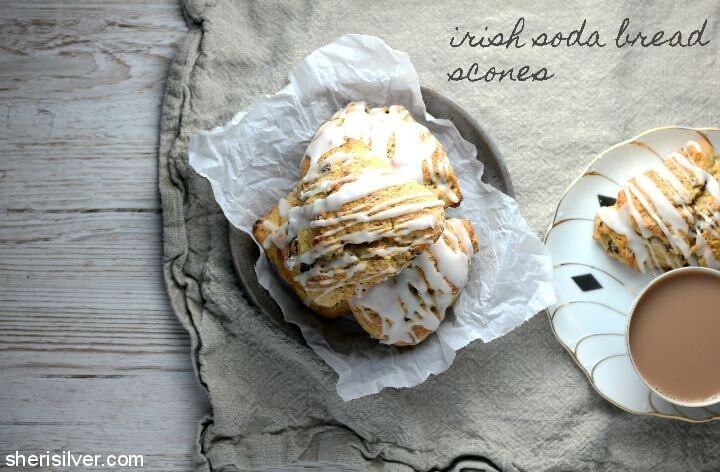 Like these soda bread scones! I love soda bread – nothing better than a thick slice (slathered with butter) to go with a cup of tea. What I don’t love so much is the large-ish size of a standard loaf – not very practical for our small crew. And since the bread starts to lose flavor and texture after a few days, those last few slices are always a disappointment. 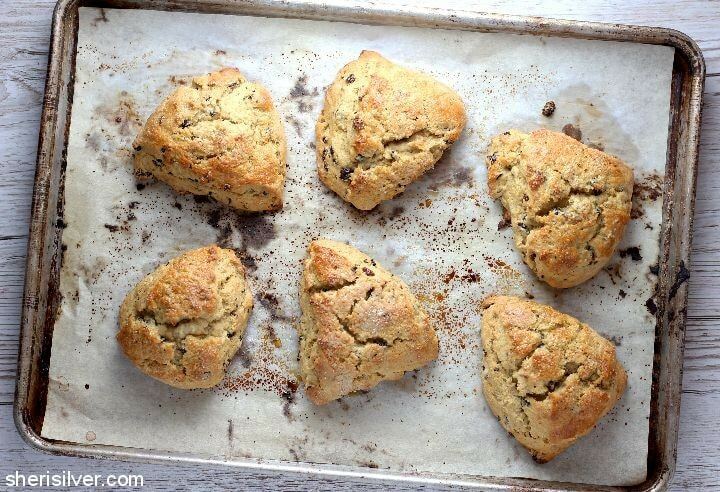 I was hunting around for a small-batch version when I came across several recipes for soda bread scones. 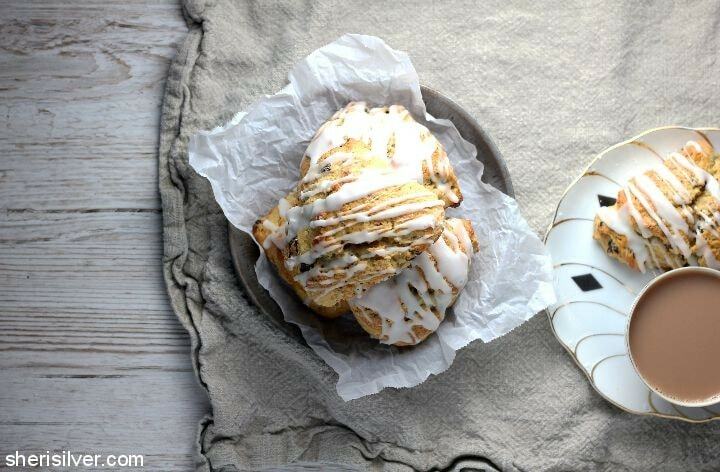 And the idea of a slightly sweeter and flakier version of this recipe won me over. I had to try it. I’m sure die-hard traditionalists will balk, but I’m in love. All the flavors are right there, and I appreciate the smaller size. You know I love a good mash-up anyway (these and these, for example), right? Pre-heat oven to 425 degrees; line a baking sheet with parchment paper. Place flour, 1/4 cup sugar, baking powder, baking soda, salt, currants and caraway seeds in the bowl of a mixer; beat on low for 10 seconds. Add the butter and beat on low till the butter is in pea-sized pieces. Add 1/2 cup buttermilk, molasses and one egg and beat till ingredients are just combined (do not over beat). Transfer dough to a lightly floured work surface, knead 2 or 3 times and pat gently into a 1″ thick circle. Cut into 6 wedges and transfer to your prepared baking sheet. Beat the remaining egg and brush the tops with it (being careful to avoid the sides, as this will interfere with the rise); sprinkle with some sugar. Bake for 12-14 minutes, till golden brown. Transfer to a wire rack to cool completely. 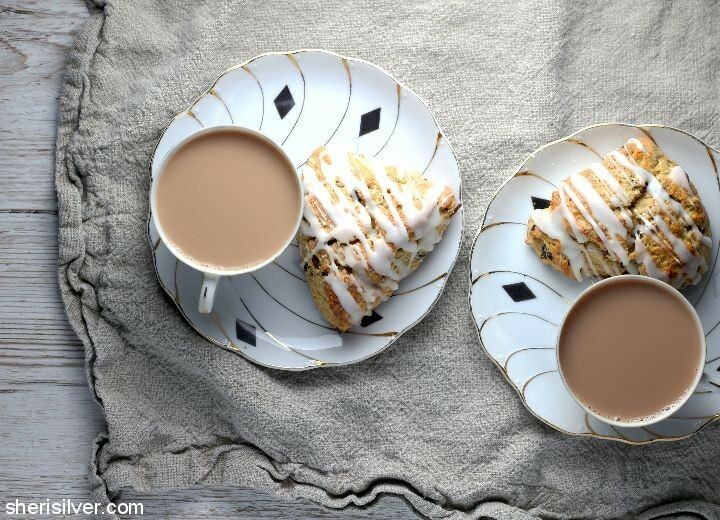 Place the cooled scones, still on the wire rack, on a piece of wax or parchment paper. Whisk the confectioner’s sugar and remaining 2 tablespoons buttermilk, adding more sugar or buttermilk as needed till a thick but pourable consistency is achieved. 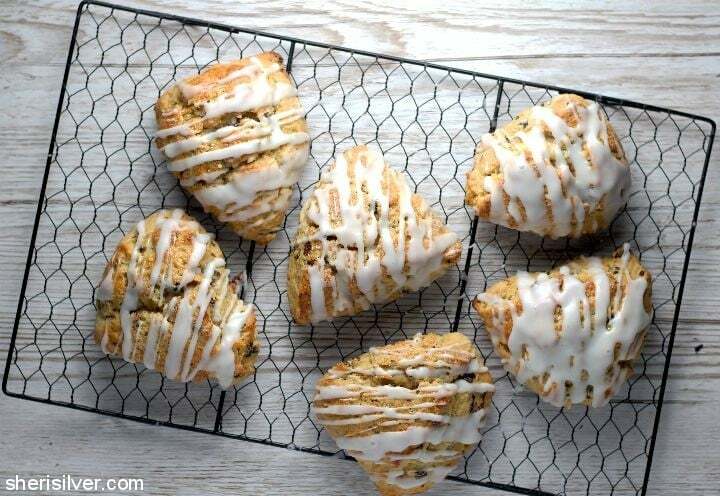 Use a fork to drizzle the glaze over the scones; let set before serving. I totally agree! I make soda bread too every year and it’s sooo delish fresh but not super practical. Thanks for the recipe!